Buena Park, CA – March 8, 2017 – Knott’s Berry Farm, its parent company Cedar Fair Entertainment and VRstudios announced today the details of the first permanent installation of a free-roaming, multi-player VR experience in a U.S. theme park, which will be located inside the Knott’s Berry Farm Boardwalk Arcade. 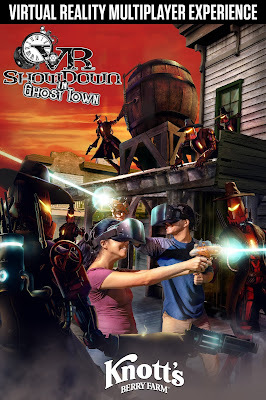 A new custom and industry first virtual reality (VR) experience, “VR Showdown in Ghost Town” will make its debut in April, and is exclusively available at Knott’s Berry Farm. 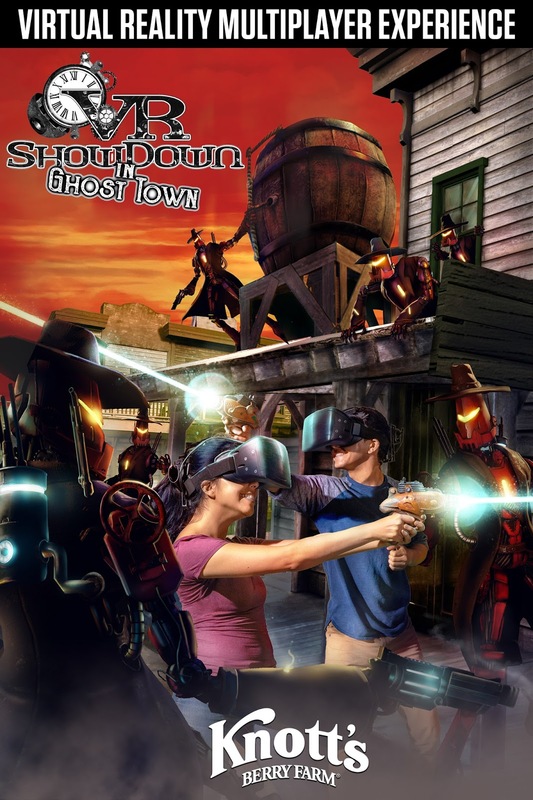 “VR Showdown in Ghost Town” is one of the many exciting new experiences coming to Knott’s in 2017 and will be available to guests at an introductory price of $6.00, in addition to park admission. 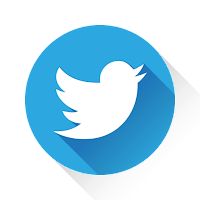 For further updates and park information please visit knotts.com or download the Knott’s Berry Farm app for your smartphone. Join the conversation about the new virtual reality experience using the hashtag #VRShowdownInGhostTown on the Knott’s Facebook or Twitter page.